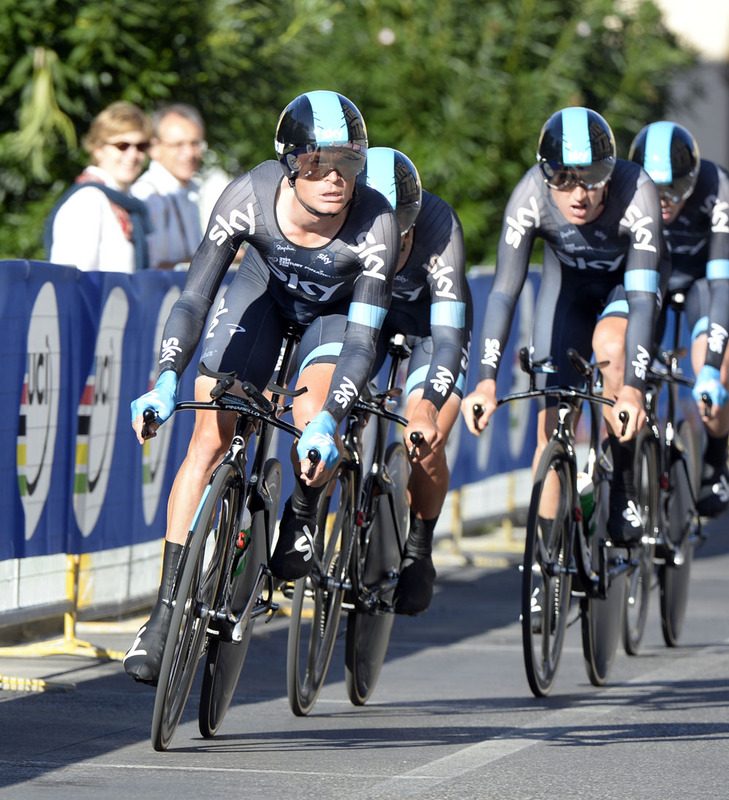 Omega Pharma-QuickStep defended its title and took revenge on Orica-GreenEDGE in today’s World Championships team time trial. 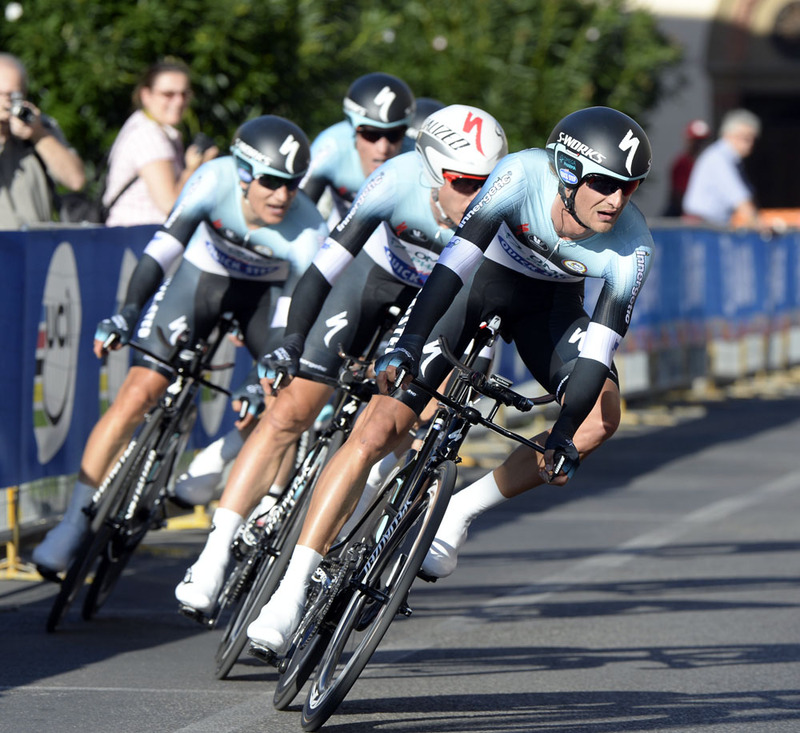 Three months after losing by a fraction of a second in the Tour de France, Omega Pharma won in Florence by 0.81 seconds. As soon as Orica-GreenEDGE’s six sat down in the hot seat, Belgium’s Omega Pharma stormed through the finish line. A roar came from General Manager Patrick Lefevere and his staff watching in the press tent. His team raced the 57.2 kilometres from Montecatini Terme in 1 hour, 4-16.81 seconds. Its ride was eight-tenths faster of a second faster than Orica and 22 seconds faster than Sky in third. “It’s a bit ridiculous to be so close. It’s good to be second place, but no one wants to be second when it’s zero-point-eight,” Orica’s Luke Durbridge told Cycling Weekly. Individual World Champion Tony Martin led Omega Pharma with Sylvain Chavanel, Niki Terpstra, Peter Velits, Michal Kwiatkowski and Kristof Vandewalle. Steels informed them that they were behind. 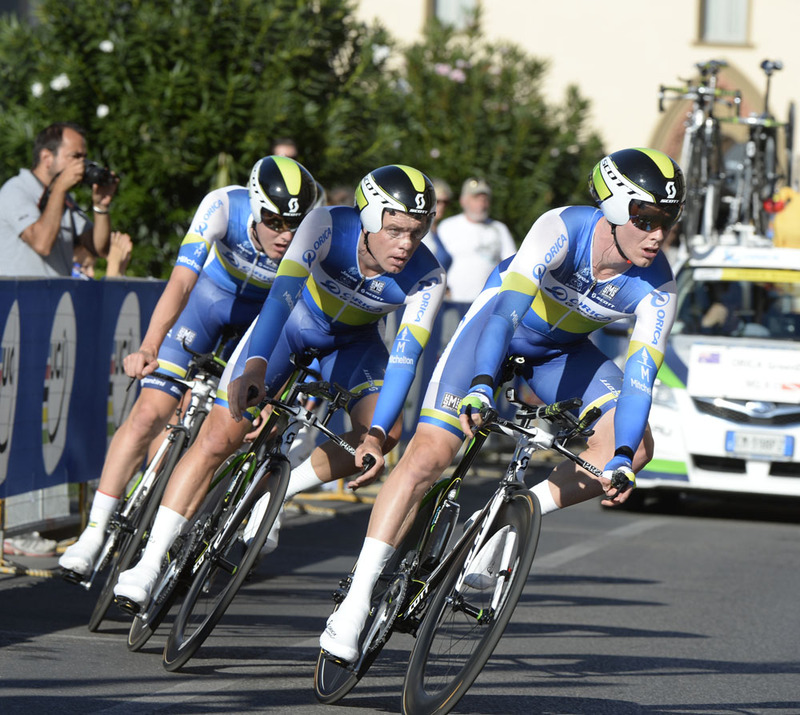 They led through the first time checks, but in the third, Orica moved ahead. They had to speed up or risk losing. Kwiatkowski and Vandewalle pulled off before the race entered Florence. Martin said that it was easier to navigate around the Duomo and to the River Arno with fewer men. Kwiatkowski clearly gave his all for the win. While waiting for his captain in the press mixed zone, cramps forced him to sit down on the ground.